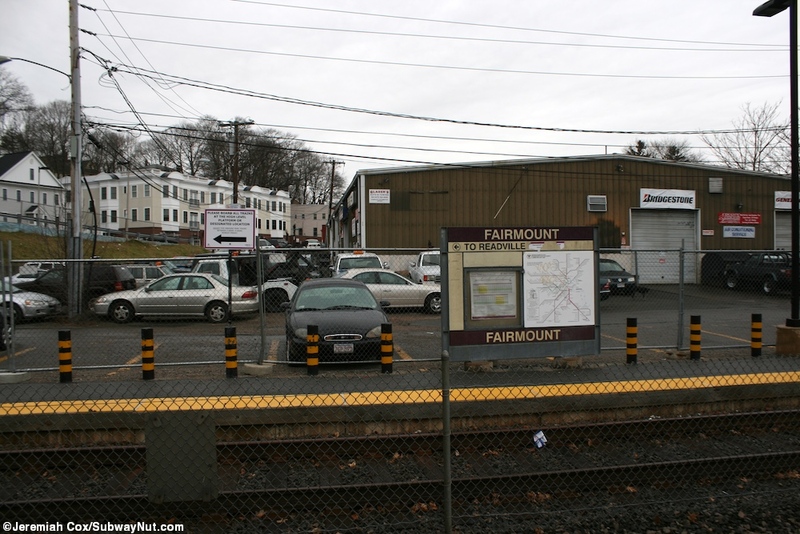 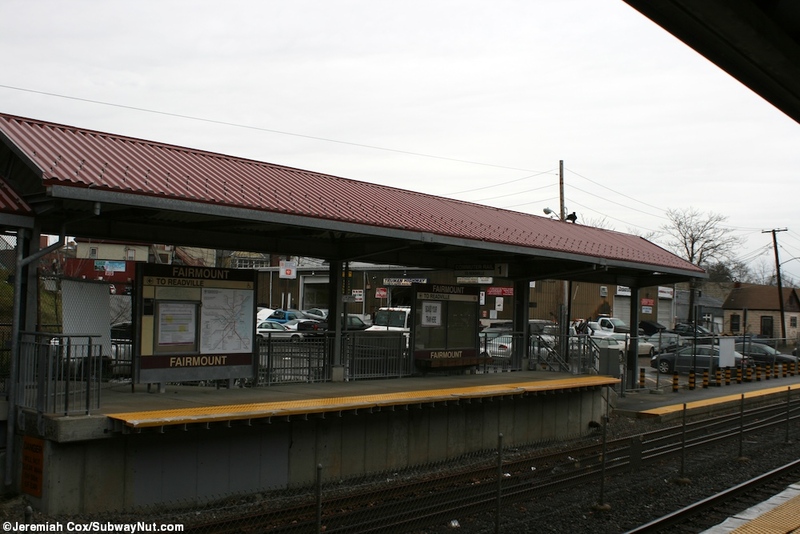 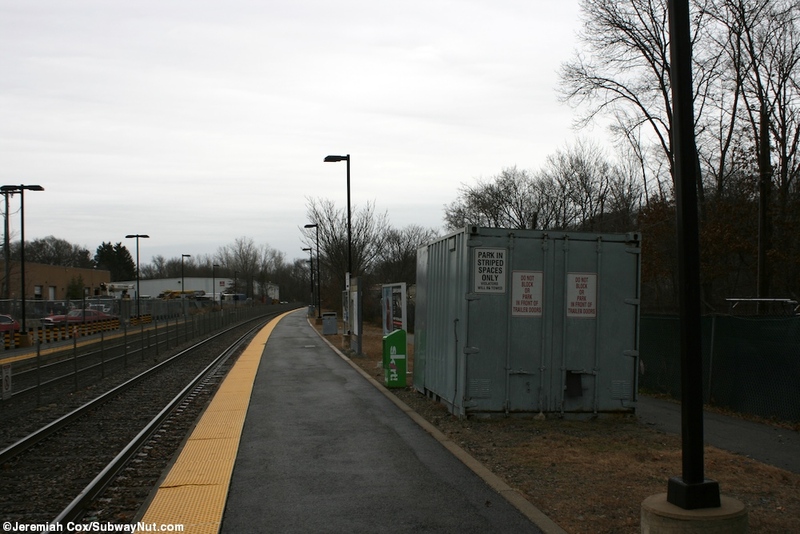 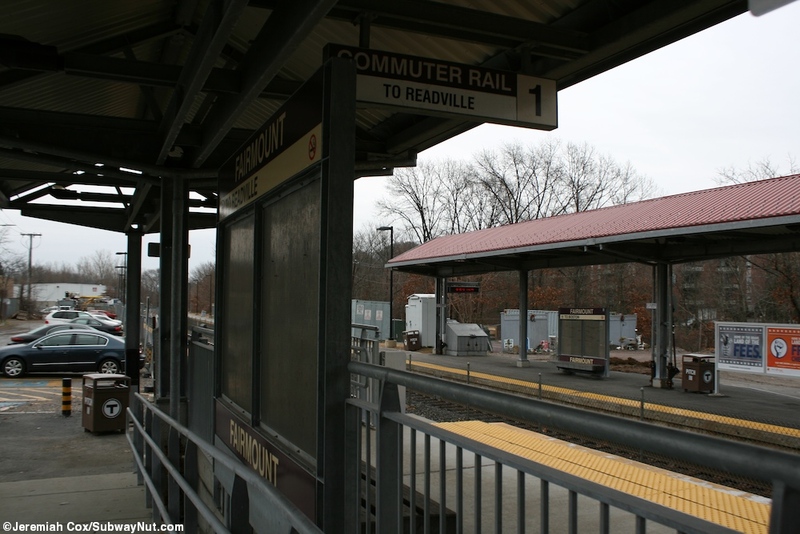 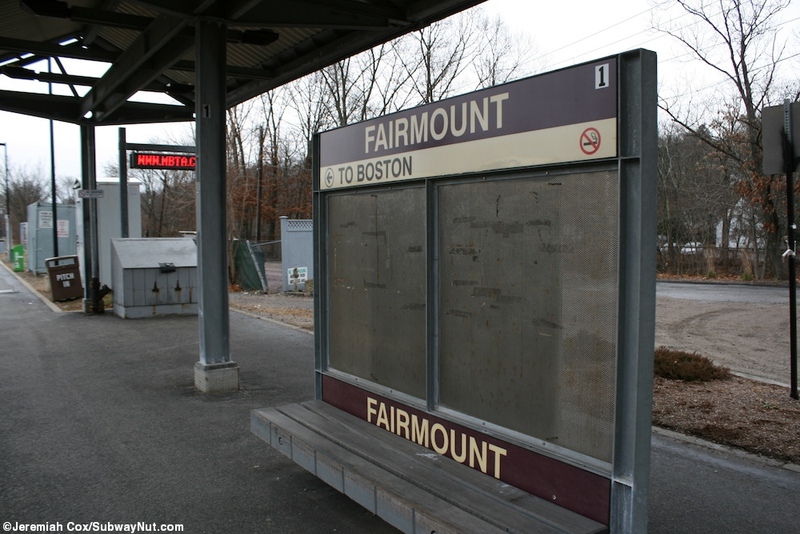 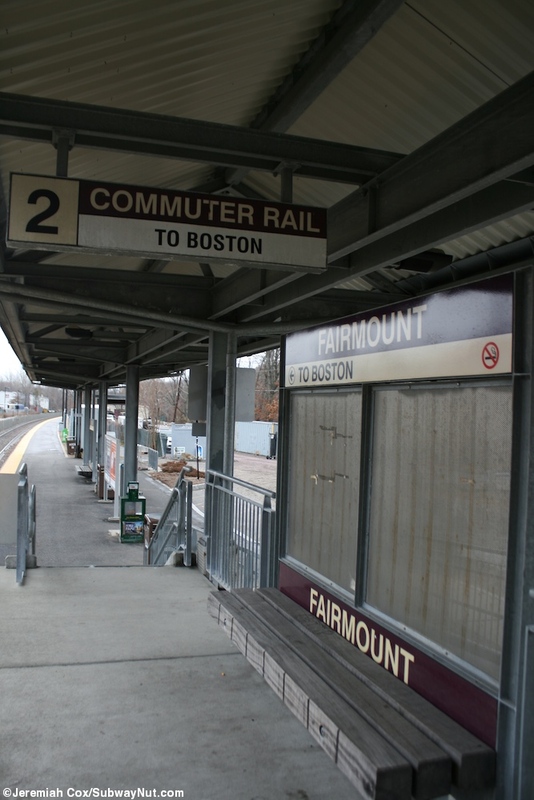 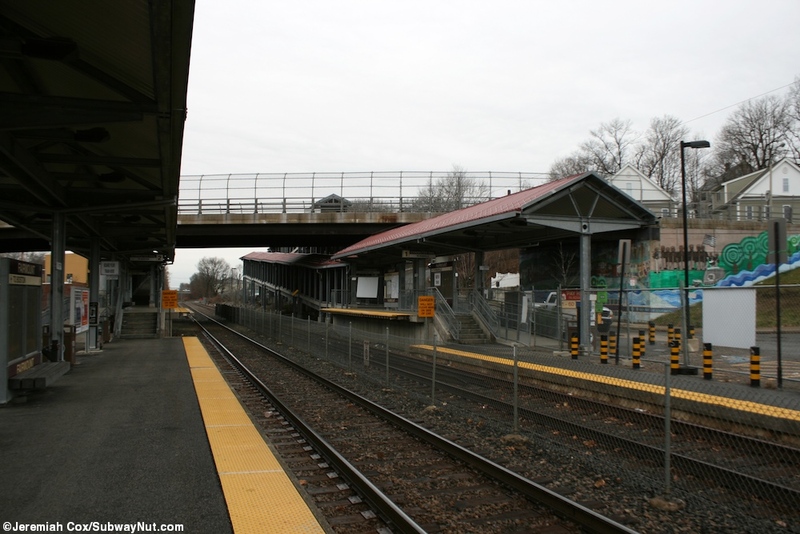 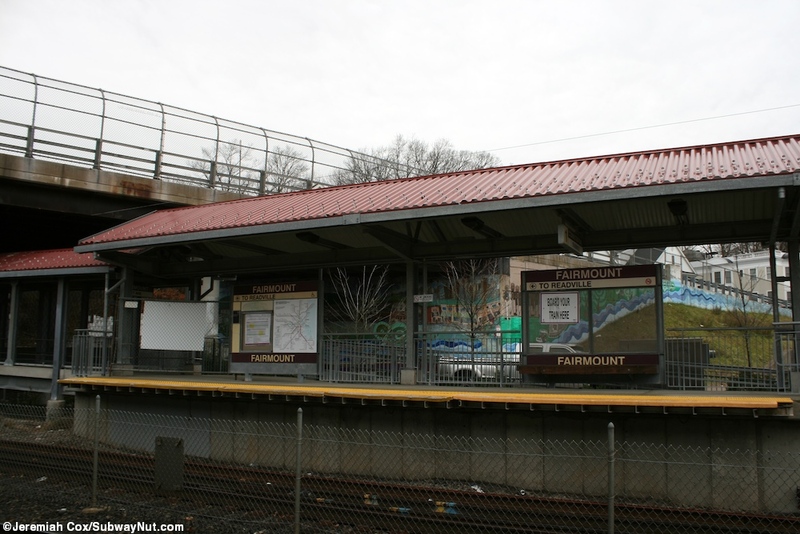 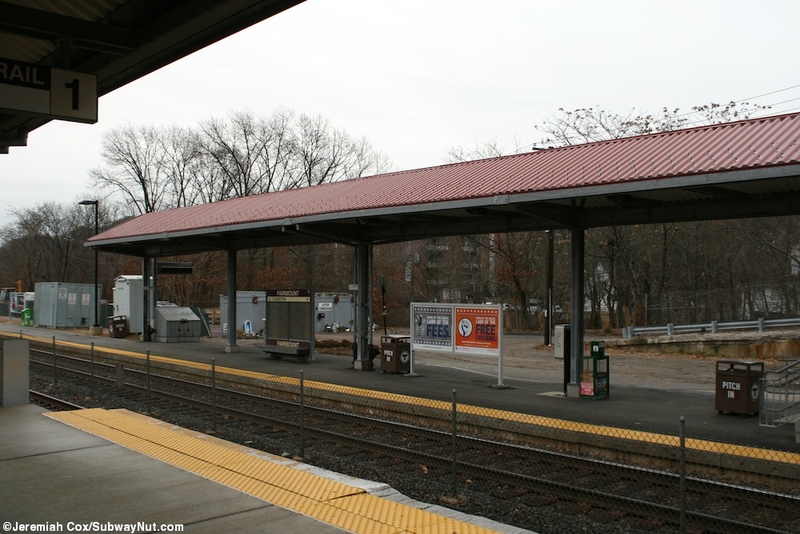 Fairmount is a stop on the Midville Branch, and the namesake of it although all trains continue to Readville where they end at the Northeast Corridor (Providence/Stoughton Branch) with a few trains a through routed to the Franklin Branch. 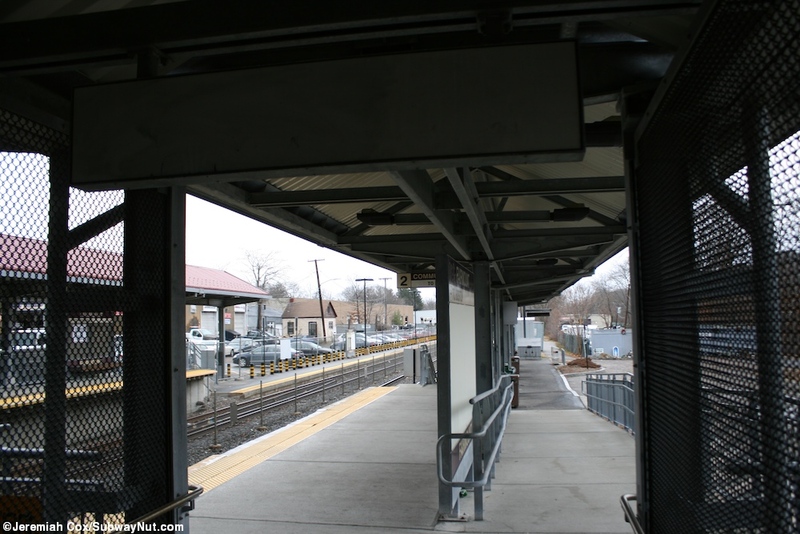 The stop is located at ground level and has two tracks with two side platforms. 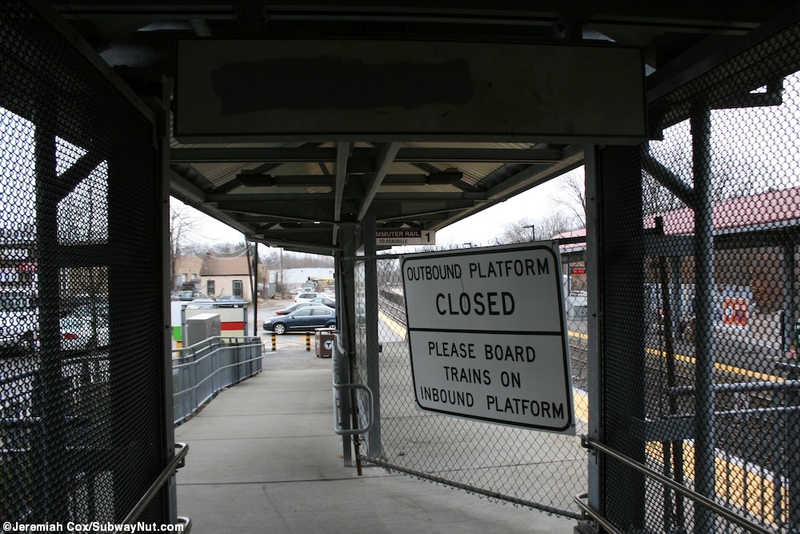 When I visited the outbound platform it was closed due to construction. 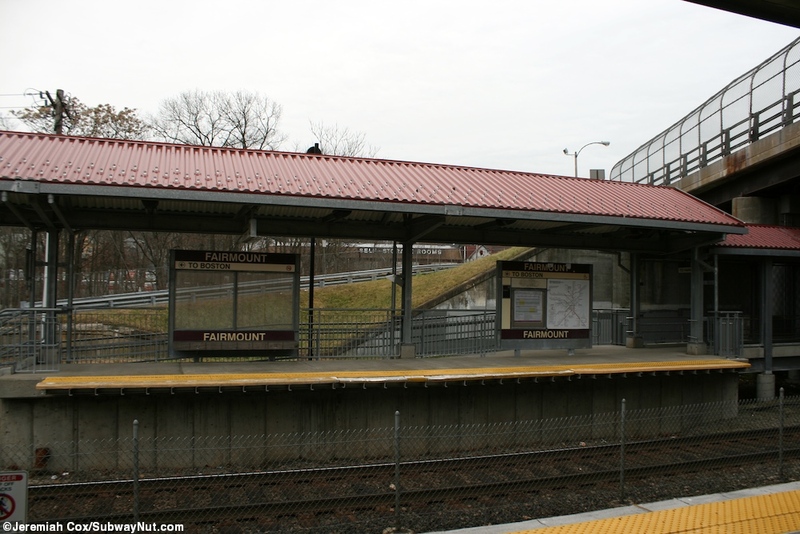 The two platforms are located just north of the William P. Slattery Bridge that Fairmount Street uses to cross the railroad tracks and Neponset River Resrvation. 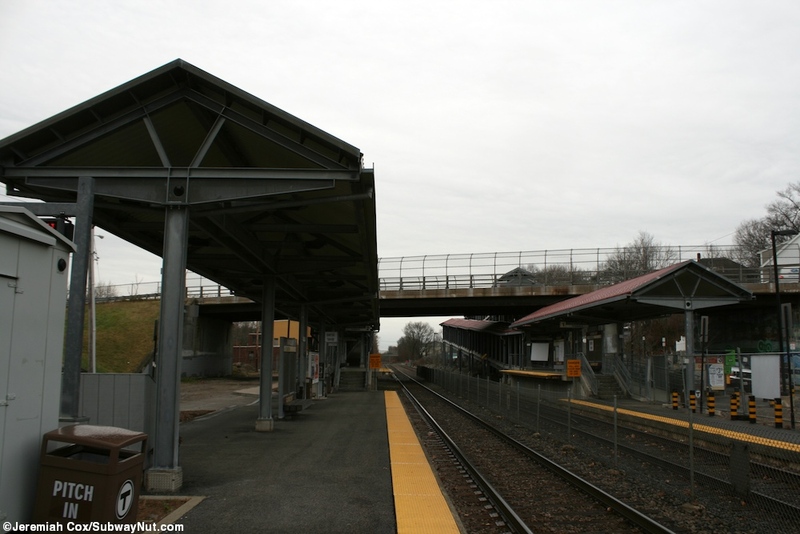 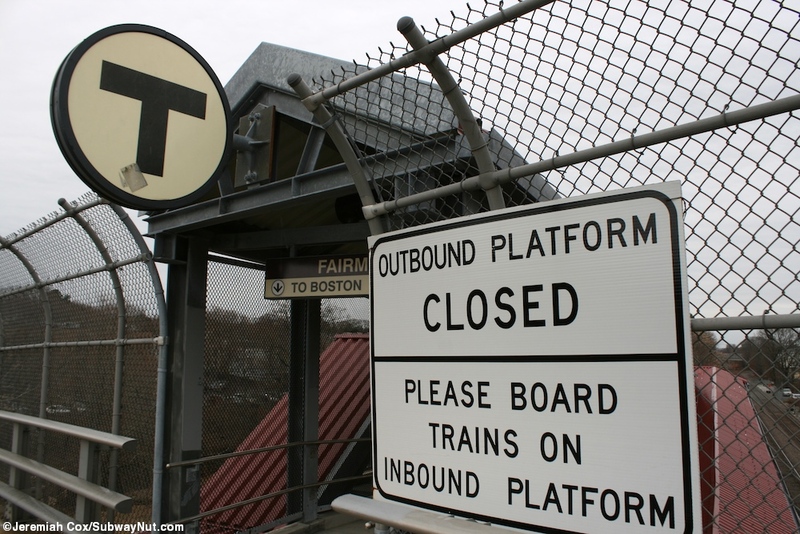 The platforms both have short high-level platforms that can platform about a car at their southern ends before steps lead down low-level platforms that continue farther north. 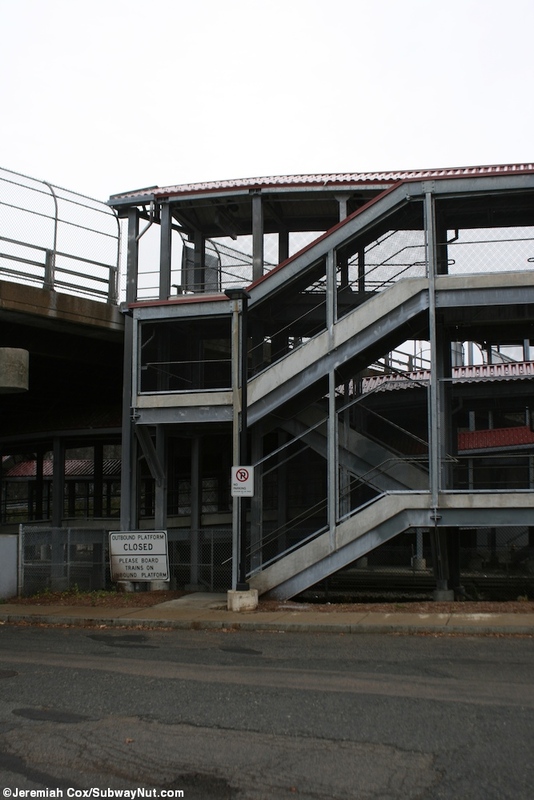 The main access to each platform is via two separate ramps with staircases cutting down some of the unnessary looping. 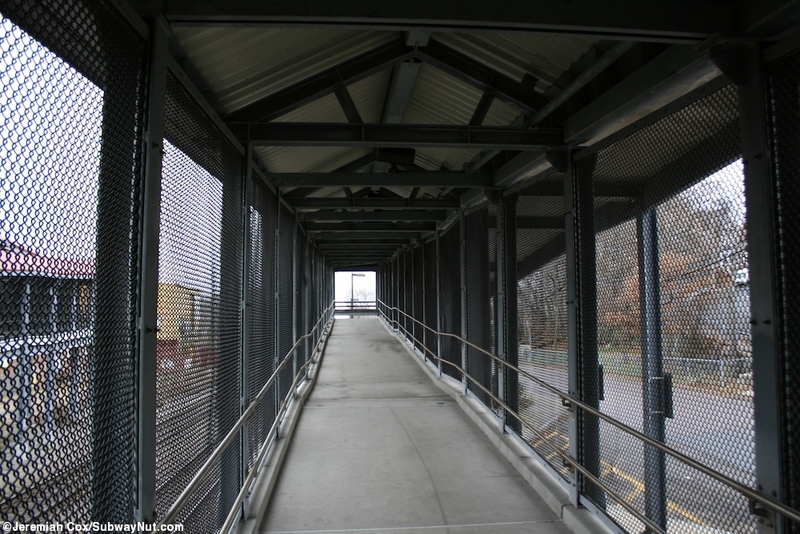 Each begins along the southside of Fairmont Street on its bridge with a long ramp that turns 180 degrees before arriving at the southern end of its respective platform. 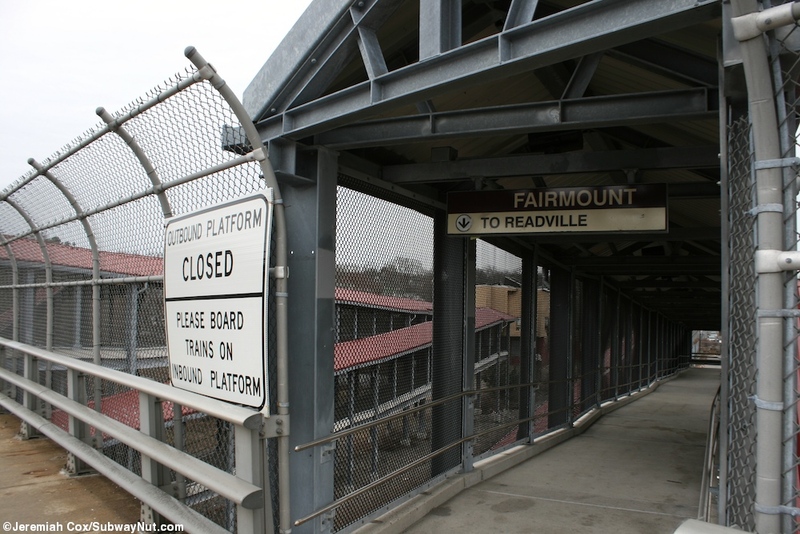 Additional access to the inbound platform is via a driveway called 3rd New Way that comes down from Fairmont Street. 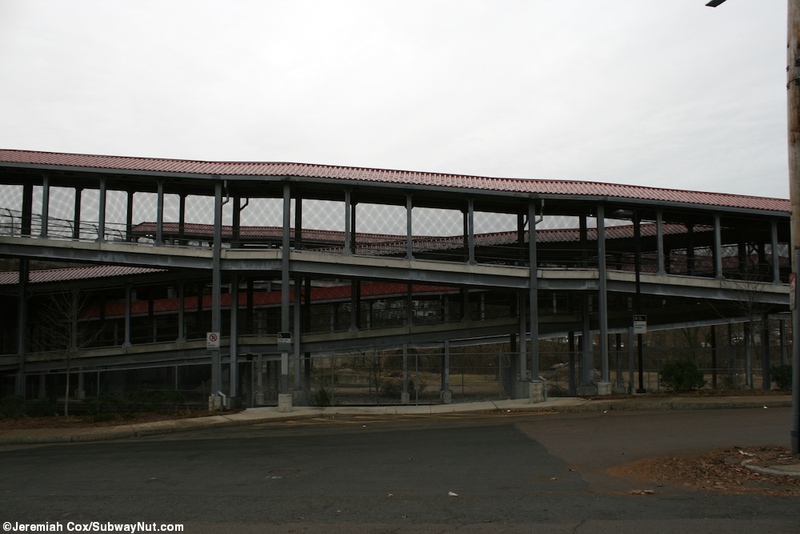 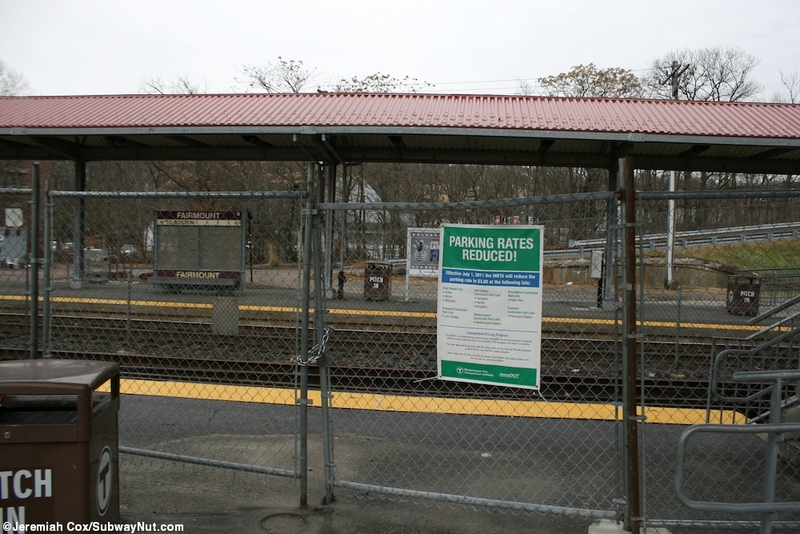 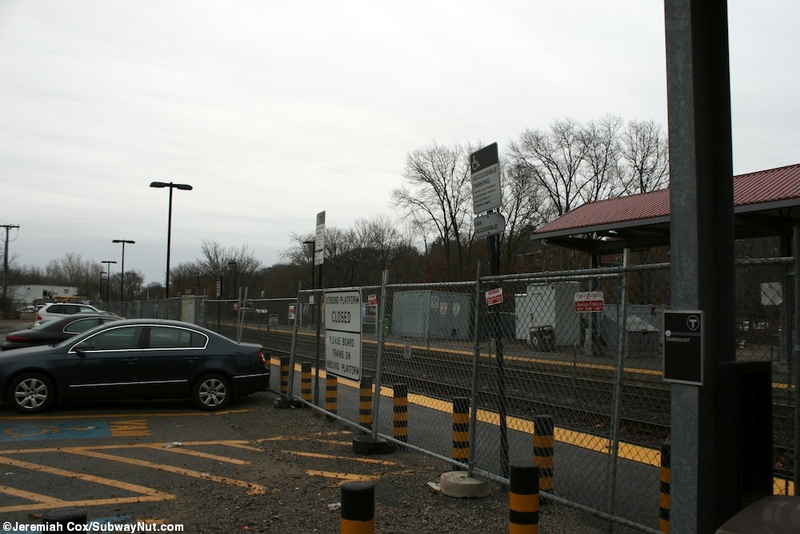 The outbound platform has a small parking lot of 51 spaces that end with bollards directly along the low-level platform where Maple Street that crosses beneath the tracks meets Nott Street at a small Auto Care Center.